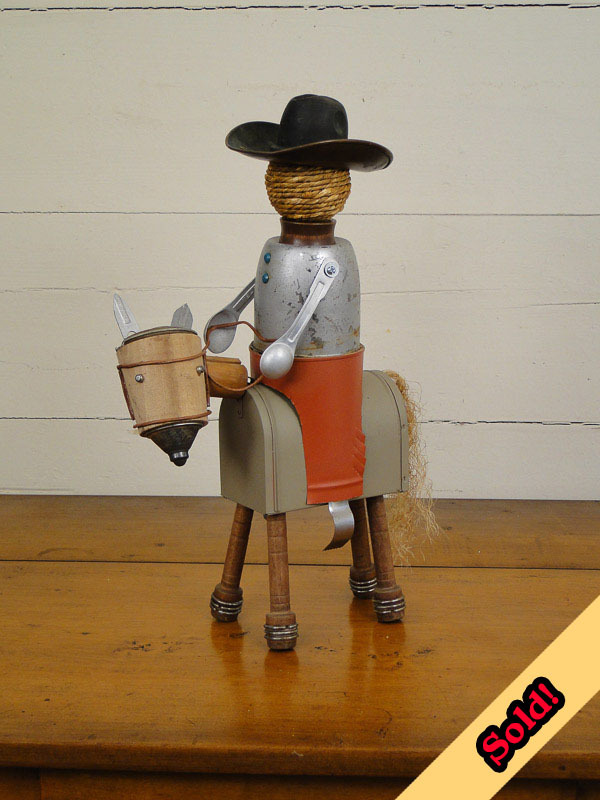 I made this cowboy and his trusty horse from a small mailbox tin, measuring spoons, a spool and spindles from a cotton mill, and a wonderful copper hat from James, my scrap metal guy. I named him "Roy" because my dad looked just like Roy Rogers. "Roy" is one of my favorite pieces.